If you read my blog anytime leading up to MBC you would know I was having terrible trouble with saddle sores. 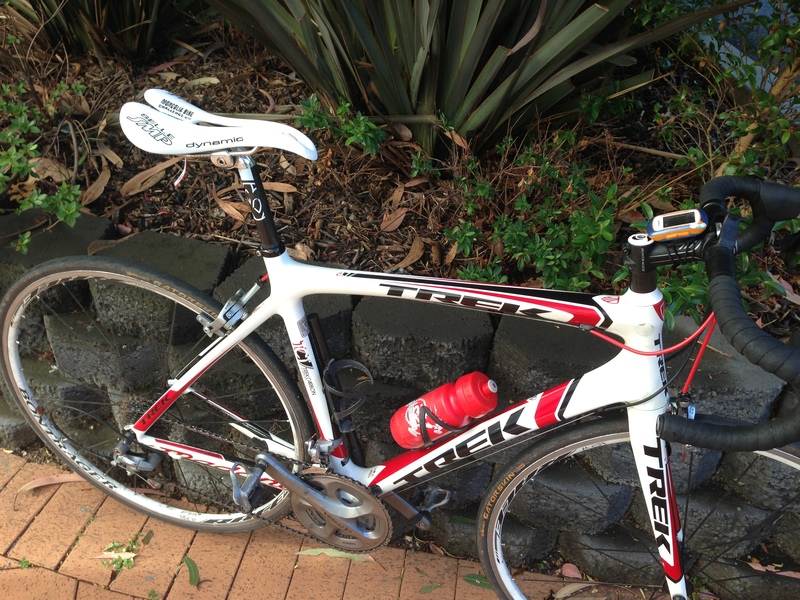 I was doing lots and lots of km’s on one bike, which meant not swapping saddles much, if at all, during the week. Things settled down nicely when I got quite sick after Mongolia and I didn’t ride for about a month. But now the sun is shining, the weather is lovely and I have been increasing the amount of riding a little more. Unfortunately Mr saddle sore (let’s call him Mr SS) has also made a return. 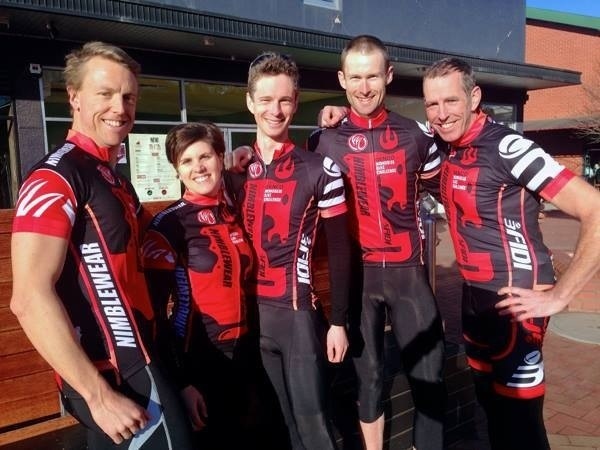 Somehow I managed to grit my teeth at his unwanted company for a 150km ride on the weekend, but that is it. We are not friends anymore. I don’t want to see him EVER again! The road saddle I have been using is a women’s specific Bontrager which was fitted to my sit bone width when I bought the bike. On my mtb I use a women’s specific Specialized which was also fitted to my sit bone width. 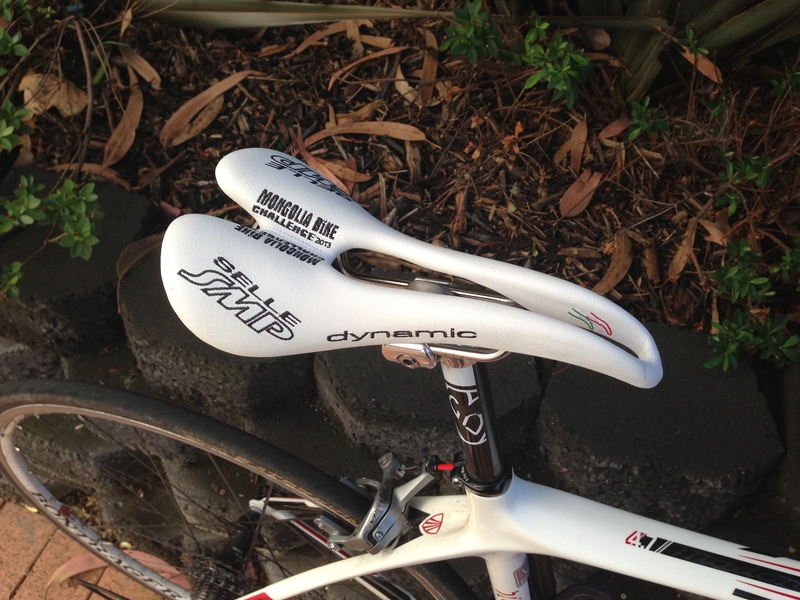 I thought about swapping road saddle for mtb but remembered that we got a Selle SMP saddle for entering MBC. To be honest, when we got it I was skeptical of the claims of a ‘perfect fit’ that would work for both men and women. Plus, the box instructions listed every bit male and female genitalia and downstairs piece of anatomy I knew, even some I didn’t! But I needed to try something different and Bleeksie swears by his MBC saddle he got last year. So last night I put it on and even used the spirit level to try and get the angle correct! The ‘nose’ is hilarious looking but when tilted back more so the seat is level, it is not so bad. It actually matches the bike colour scheme quite nicely. This morning I gave it a spin, not wanting to go too far in case it was terrible. I have to admit that I was more than pleasantly surprised! It was comfy. I had to tweak the seat height a bit because it seems to have a tad more height than the Bontrager saddle. Will give it a burl on the weekend on a slightly longer ride and see how it goes. Next year I’ll be riding in the National Road Series in a women’s team and there will be many hours being spent on this bike. Might this saddle be the answer to saying goodbye to MR SS forever? Kind of exciting. Here’s hoping! This entry was posted in BikingBethany and tagged Mongolia bike challenge, saddle, saddle sores, selle SMP on December 4, 2013 by bethany.